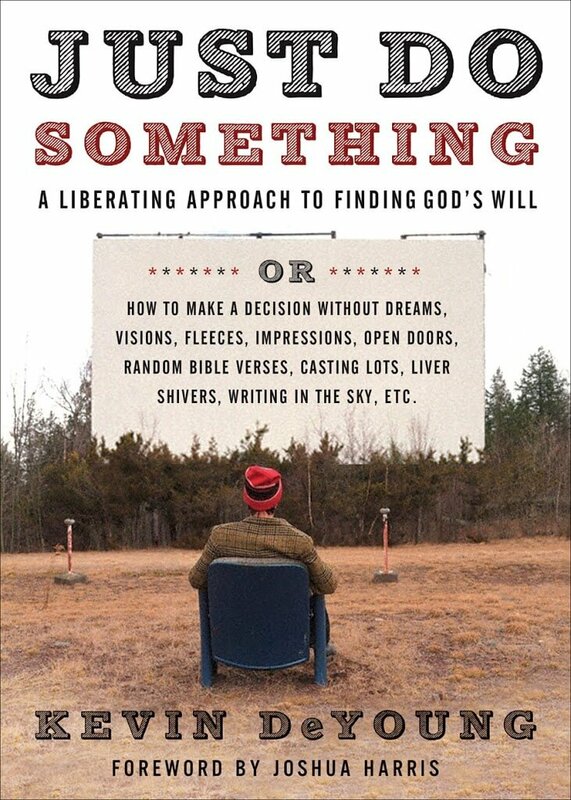 Ladies and germs, allow me to introduce you to one of the best books I’ve read this year or any year: Just Do Something by Kevin DeYoung. And in case you’re wondering what that “something” is, you can start doing it by reading the rest of this review. The subtitle of the book is How to Make a Decision Without Dreams, Visions, Fleeces, Impressions, Open Doors, Random Bible Verses, Casting Lots, Liver Shivers, Writing in the Sky, Etc. Which pretty much tells you everything you need to know. DeYoung is no fan of hyper-spiritual approaches to “finding the will of God”; approaches that bear far more resemblance to hocus-pocus flimflam than to scriptural living. Too many Christians these days have a tendency to “tinker” – with jobs, with churches, with relationships, even with doctrine – all while worrying about finding God’s perfect will for their lives. Even worse are the people who don’t do anything at all, mired in frustration and anxiety and indecision. What would happen if they took the wrong job, bought the wrong house, or married the wrong person? Wouldn’t that totally screw up any chance they had of staying in “the center” of God’s will? So they wait. And do nothing. But here’s the thing: God hasn’t promised to tell us what to do every step of the way. He doesn’t need to. He’s already revealed His plan for our lives: to love Him, to obey His Word, and to live for His glory. Or, in the words of Matthew 6:33, to seek first His kingdom and His righteousness. Put side the passivity and the quest for complete fulfillment and the perfectionism and the preoccupation with the future, and for God’s sake start making some decisions in your life. Don’t wait for the liver shiver. If you are seeking first the kingdom of God and His righteousness, you will be in God’s will, so just go out and do something. DeYoung expands on this idea over the course of a hundred-twenty pages; and even though that might not seem like much, it’s no light or easy reading. It’s challenging, thought-provoking, and aggressive (in a good way). Tullian Tchividjian gives the best, most succinct summary of what Just Do Something is all about: “This book shows that discovering God’s will happens not as we ‘let go and let God,’ but as we trust God and get going.” Bingo. Speaking for myself, the finest chapter is the one dealing with employment and marriage, which features some of the best writing on those two subjects that I’ve ever encountered. I’d like to quote the entire thing to you, but since I can’t, I’ll content myself with sharing a couple favorites. You need to read this book. Everyone does. 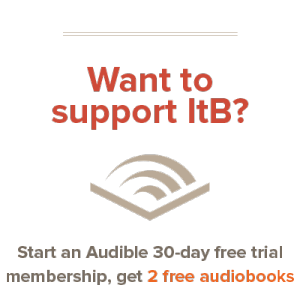 So don’t think about reading it; don’t talk about reading it; don’t agonize over whether your TBR pile can possibly handle another addition. Order a copy, crack the cover, and get going.